Weeks after Hurricane Harvey hit Fulton damage and debris line the streets. Hurricane Harvey hit the Texas coast on August 25 and became the state’s most costly storm on record, causing almost $200 billion in damage. Houston bore the brunt of it and has received the most attention. But many frustrated residents of Aransas County say more help is needed. The sound of power saws and drills permeates the streets of Fulton — a town of 1,300 located about a half hour northeast of Corpus Christi. Some are calling this the DIY recovery because residents aren’t waiting around for aid. They’re picking up their tools and getting to work, including the mayor, Jimmy Kendrick. “I’m trying to build a fence back,” Kendrick says, while gesturing towards a half-completed project. Lumber, tools and other equipment are scattered around the yard. Kendrick said Hurricane Harvey gave his home a wallop and not many in Fulton were spared. There’s a new raised concrete slab where the garage used to be. But a structure will be coming soon, Kendrick said. He says his roof leaks and only the front of the house has electricity. “I live in this half of the house right here where the living room is with my wife because that’s where the air conditioner’s at,” Kendrick says. For Kendrick, taking the rebuilding into his own hands isn’t just necessary — he said it’s therapeutic. 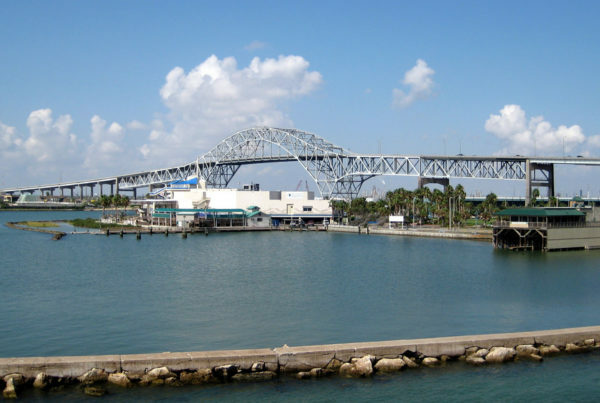 Recently, Kendrick and other coastal bend officials testified at a hearing before state lawmakers. “Our community is hurting. It’s hurting bad,” he told lawmakers. He said to the House Appropriations Subcommittee on Disaster Impact and Recovery that the stress of dealing with Harvey’s destruction is getting to be too much for him and the town. “Folks, I didn’t sleep last night from one o’clock to three o’clock. There are times that I sat there and thought about sticking a gun in my mouth and pulling the trigger, folks,” he said. The mayor of nearby Port Aransas, Charles Bujan, was there too. He told lawmakers that Port A city facilities alone suffered at least $47 million in damage. “Our fire equipment and fire department suffered major damage. Our public works building was completely destroyed with most of the vehicles. Our (emergency medical service), and police and constable and court — municipal court building is totally destroyed. Our library is destroyed and all of the books in it. Our marina is not usable and completely 80 percent destroyed. Our 12,000 acre nature preserve was heavily damaged with all the walkways gone,” he said. Bujan said to deal with future super storms, the city will raise all its public buildings by 15 feet. He also expects the city council to require all new construction be raised. And to protect the city, it needs a seawall on the bay side of the island. “Our city needs help. We’ve suffered many storms but nothing like Hurricane Harvey. This storm has dealt us a deadly blow. As mayor I’m reaching out to you on this panel and this state government for assistance,” he said. Kendrick says he asked his community what it needs most. “Every one of them said ‘Pay my bills. Help me pay my bills.’ ” Let’s start giving money to people,” Kendrick says. There’s no indication the state plans to give money directly to Hurricane Harvey victims, but one organization is. On Saturday, the Taiwan-based humanitarian organization Tzu Chi Foundation set up rows of tables and chairs in Fulton’s fire department station, where residents received free debit cards. “It can not be used to buy tobacco or alcohol,” says Chi Yao, a spokesperson for Tzu Chi. He says the amounts on the cards vary depending on the family size and the need. The foundation is also providing emergency relief to victims of Mexico City’s Earthquake, Hurricane Irma and the California wildfires. But Chi says his group, which is rooted in Buddhism, wants to spread the word of love, stewardship of the planet and vegetarianism. Rockport Police Commander Jerry Lawing says the arrival of the Tzu Chi Foundation was a welcomed surprise and its help means many people in Aransas County will be able to have a traditional Thanksgiving. “We didn’t know anything about these people and now we got to be real close friends,” he says. Lawing added whether the people of the Coastal bend feast on real turkey or tofu turkey, they will now have plenty to be thankful for on Thanksgiving thanks to those who are helping their community recover.